Every person metabolizes their supplements differently, and this is why we have a wide range of options and dosing for you to find that sweet relief you are looking for. If you’ve started taking your supplement in softgel form, you may try switching to the oil dropper if you want a quicker effect. By taking your supplement sublingually, the molecules are absorbed directly into your bloodstream, allowing minimal waste. Up your dosage. For example, if you’ve been taking CBD Balance 8mg for a month and feel the need for a more potent product, you can always try CBD Complete 20mg and see if that works. We also carry our new CBD Ultra 50mg, a very potent, maximum strength CBD isolate for our customers with high tolerance. Some patients take their supplements as needed, others take it once, twice, or even 3 times a day. Start low and work your way up if needed. Keep in mind that some patients just need a little more time to build up CBD in their endocannabinoid system before they feel the benefits. 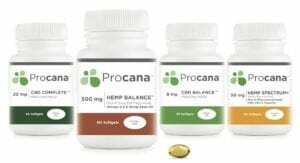 If you would like to read testimonials from customers as further research to see which Procana product and dose is right for you, please click here. You may also click here to view studies about CBD and specific ailments. There are many ways you can consume CBD and while it’s partly a matter of personal preference, it’s important to understand that our bodies process and absorb CBD differently depending on how we consume it. Sublingual: Procana’s measured droppers are Extra Virgin Olive Oil-based. Squeeze suggested dose of drops under tongue and hold for 30 seconds before swallowing. 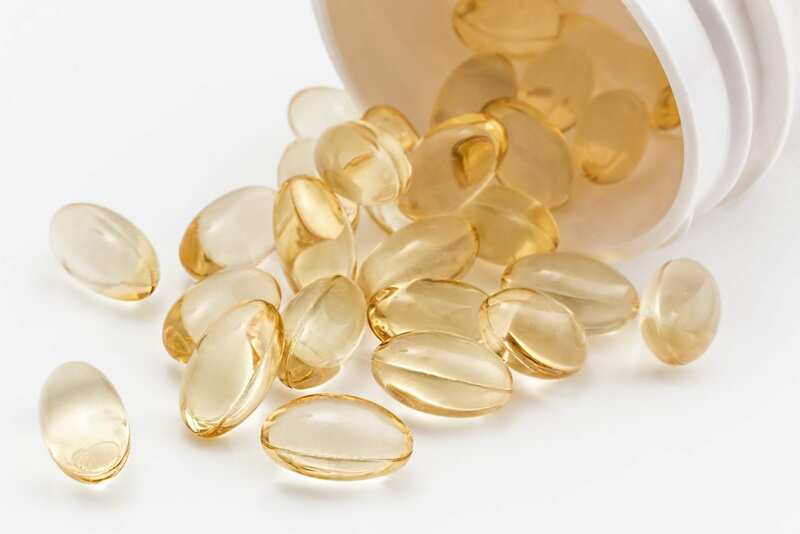 Oral: Procana’s convenient softgels are infused with grapeseed oil. They offer a controlled dosage of CBD and are highly absorbable with no aftertaste. Grapeseed oil is great for digestion and has increased bioavailability. 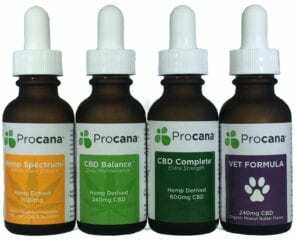 Vaporizer: Procana’s disposable vaporizers are ultra-fast acting, delivering CBD quickly to receptors located in the oral mucosa. Each inhale delivers 1-2mg of CBD. Vaporizers are ideal for easy usage on the go. Pet: Simply put dosage in their food or drop oil into their mouth. Other ways: Squeeze dose of drops into your food and/or drinks! Check out our blog for ideas like Calming CBD-Lavender Hot Cocoa and Vegan Hemp Pesto! We would love to receive feedback from you once you have found the perfect dosage for yourself. Please feel free to submit testimonials and please let us know if you have any more questions in the comments!